When former Police Senior Superintendent Eduardo Acierto was called to testify before Congress on the mysterious disappearance of Php11B worth of shabu, he went into hiding – supposedly fearing for his life. This week he resurfaced, with a bombshell against the President himself. 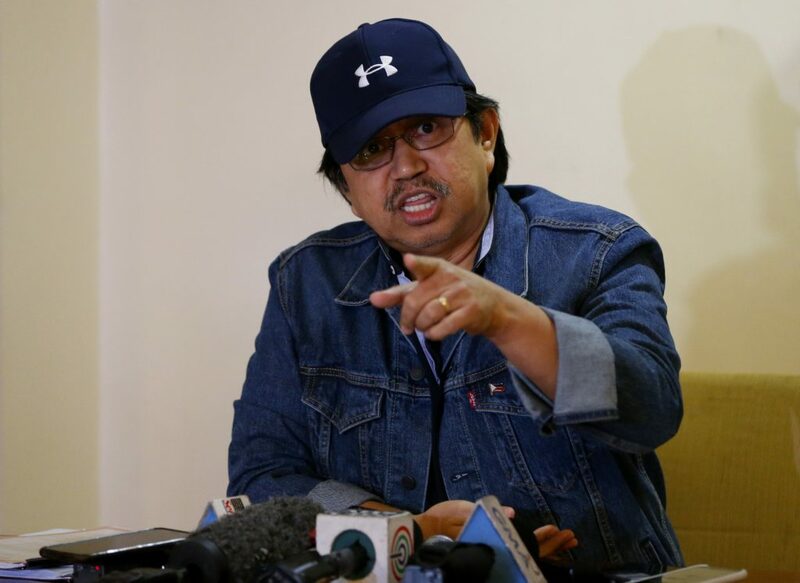 Acierto’s allegation was that President Duterte, along with the upper echelons of the Philippine National Police (PNP), blocked his intelligence reports that exposed Michael Yang – the Presidential Economic Adviser (PEA) – as being involved in the drug trade. Michael Yang (center) presenting a document to President Duterte (seated). According to the former anti-drugs agent, he presented documents providing evidence of Yang’s involvement in illegal narcotics as early as 2017 but was never acted upon. The latter also remained as an adviser to the President throughout that time. 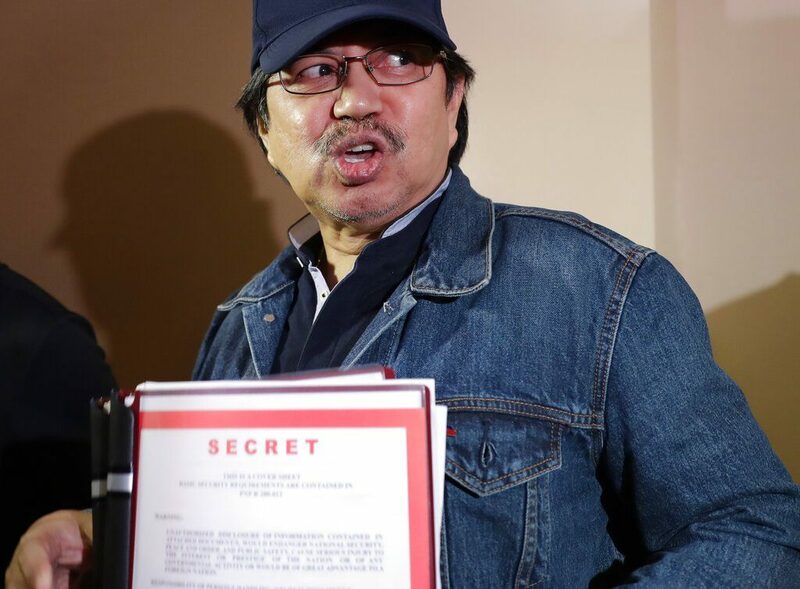 While Acierto only made the revelation last week, suspicions of Yang’s involvement in the drug trade were brewing as early as October 2018 – when President Duterte mentioned the existence of a “dossier” against his adviser belonging to a certain “Acierto”. It should also be noted that the latter went into hiding in the same month as well, after receiving death threats. Veteran Senator Ping Lacson corroborated the allegations, disclosing that Acierto had privately informed him that Michael Yang’s name appeared numerous times when the ex-police agent conducted anti-narcotics operations in Davao City way back in 2004. 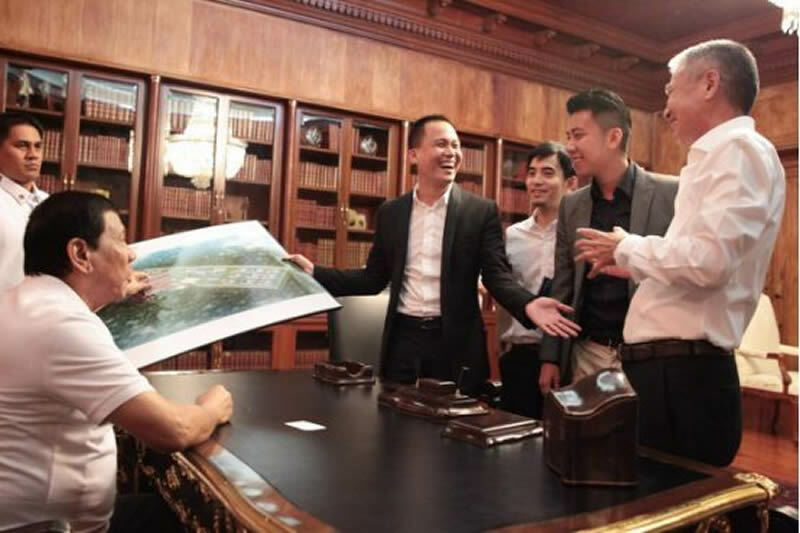 The Chinese national has operated various businesses in Duterte’s hometown since 1998 which today have expanded to a chain of shopping malls in the city. Incidentally, Duterte was the mayor of Davao City in 2004. The Senator however, expressed curiosity as to why Acierto (or the PNP in general) never filed charges against Yang in the 14 years since. Lacson also questioned why it took the ex-policeman more than a decade to go public with what his past investigation unraveled. Though, if Acierto’s claim of having received death threats are genuine we can at least understand why he was not quick to prosecute Yang – especially given his close relationship to President Duterte even during the latter’s time as Davao City mayor. There are also good reasons to believe Acierto really did receive a threat on his life: during a public address, President Duterte unashamedly asked members of the police and military why the ex-cop-turned-whistleblower “is still alive”. As a person who openly admits to committing extra-judicial killings (EJKs), if Duterte expresses a desire to assassinate the whistleblower it is understandable why the latter went into hiding. 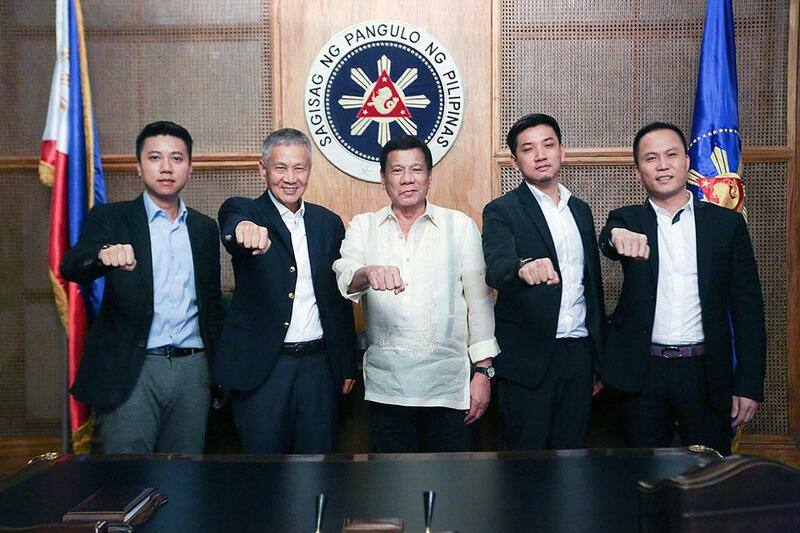 Michael Yang (rightmost) poses with his President Duterte (middle) and other associates. 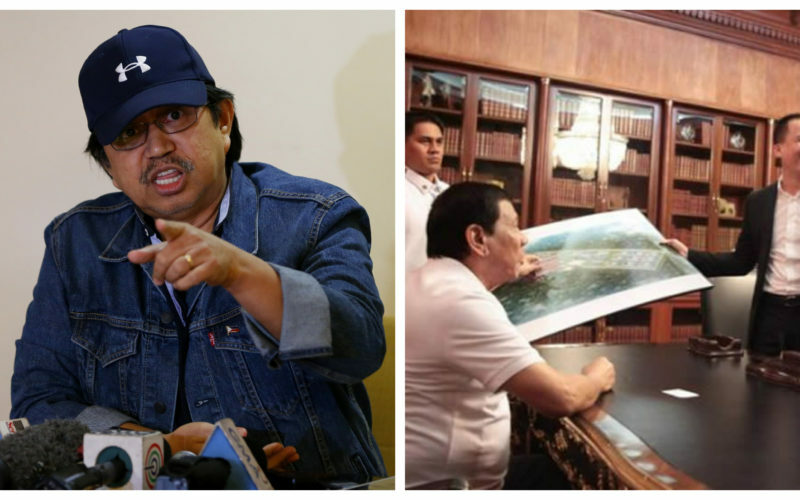 The timing of Acierto’s decision to go into hiding also coincided with Duterte’s first mention of Michael Yang – October 2019. In that speech before police officers last year, the President downplayed rumours that Acierto was threatening to expose a dossier on his PEA. Until that point, Michael Yang had never been in the media spotlight. If the threat of a dossier by Acierto was enough to coerce the President to go on defensive mode, there must be some credence in the information that he possesses. Also, if Duterte has the motivation to “silence” the whistleblower then he must feel threatened by the damage that the latter can potentially inflict. There have also been more signs that President Duterte is indeed pressured by Acierto’s revelations: he has since removed Yang as his PEA, and has even threatened to kill the Chinese national if he is indeed involved with illegal drugs. As we have witnessed throughout Duterte’s presidency thus far, if he reverts into his hardline rhetoric it is because he feels the need to project that he is still in control – he senses that public trust in his ability is waning. If the President feels doing so is necessary to address Acierto’s accusations, then what the whistleblower knows about the Duterte administration is indeed significant.